The PHANTOM HD3 portable electronic cigarette vaporizer with replaceable bottom coiled heating element. 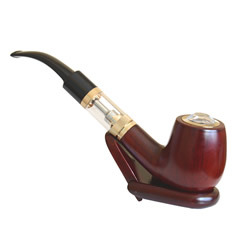 Using EPUFFER's latest liquamizer technology it provides smooth draw and excellent vapor production. Embrace the freedom you now have as you satisfy those cigarette cravings virtually anywhere. Designed to work with ecigarette e-liquids, vapor juices, and special herbal extracts. I'm new to vaping and I absolutely love this product. Short charging cord, but that can be changed out. 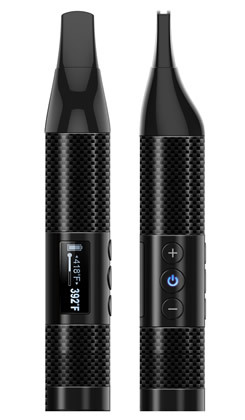 Great design, vapor production is pretty nice and I being able to vape while it charges. Got Menthol with my order and pineapple, love both flavors. I vaped for a week and lost it and had lit a cig....HATED it and found my Vap...ordered a second one...the Canadian Blend is perfect for me....I will never go back to smoking...Vap is the only way....my highest of recommendation!!! I bought 2 Phantom HD3 Kits, one silver and one black, exactly 2 months ago. 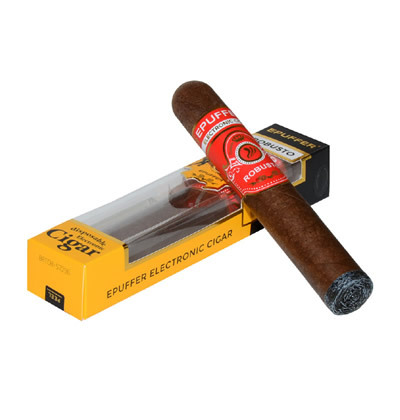 I was new to vaping with Blu E-cigs and wanted more vape, I did not have a great experience in the beginning since I bought the kits with highest Nicotine content and the throat hit was unbearable because I didnt know any better. I bought e-liquid from another website, PG/VG blend with better flavour and half the nicotine. Now I was hooked! The silver kit is rock solid, but the black kit keeps leaking e-liquid, loosing half tank by the end of the day, so its useless now. The heating coil included in the kits lasted 3 weeks as advertised but the replacement coils vary from 3 days to less than 2 weeks and I'm averaging only 30 puffs per day. Overall, good product, really got me off smoking and now addicted to vaping, but poor quality control. We appreciate your valuable feedback. If your purchase is within the warranty period, please contact our customer service and we will gladly arrange a replacement for the unit that not performing well. The coil that we package inside the kit is exactly the same as in spare 5-packs that we offer. Unfortunately we cannot guarantee performance when a 3rd party eliquid is used, as viscosity of the oil may not be compatible with our hardware. Highly recommended product and company! Shipping is always fast, representatives give an awesome service. That being said, the Phantom HD-3 is the best e-cig I've tried so far. The battery is long lasting, the smoke/vape feel is perfect and the product itself is quite nice to look at. 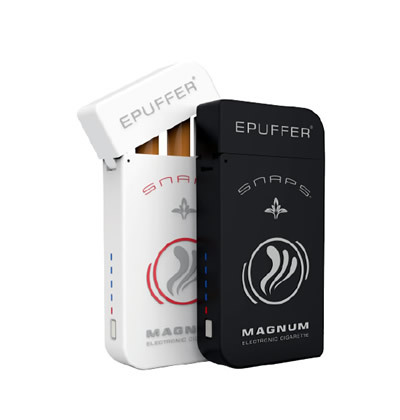 I tried the Snaps magnum e-pack last year and was happy with it at first, but utimately, the snaps catridges thing turned me off after a while. The HD-3 got a better smoke input, and is just the perfect product for me. I didn't touch a real smoke since I received it and I even ordered a second one to always have one fully charge with me. If you really want to stop smoking, you've got to try this and the canadian tobacco blend. The combination is just perfect! Just got my new phantom hd3, and I love it already. Bye-bye cigarette tobacco. Great product! Practical design. New tip is comfortable to use and can be used with the included silicone cover to soften for mouth. Great vapor production. Got the black and it's very smooth to the touch--almost silky. Easy to charge with micro USB, but be advised the cord is very short (approx 1'), so if you intend to charge/vape simultaneously another cord may be necessary.